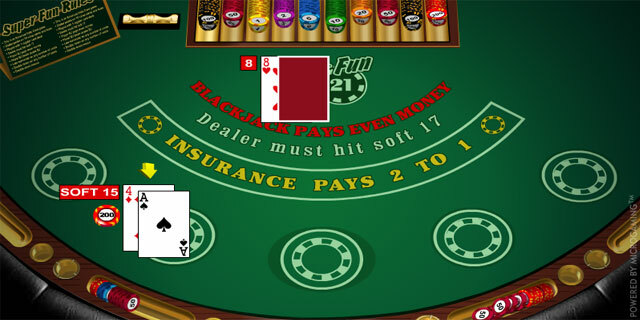 Blackjack is one of the most played casino games which has an impressive number of variations. 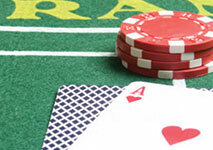 Nowadays, you have the chance to enjoy various blackjack games which have different rules and additional features. Thanks to the many versions that have emerged, you can play the game in a whole new way and diversify your gaming experience greatly. Super Fun 21 is one of the most interesting variation of blackjack which can be found in various casinos all over the world. It is almost as popular as the classic game due to the fact that it offers a challenging and exciting gameplay. In general, Super Fun 21 resembles so much the classic game that if you are a novice player, you might be even mistaken that you are playing the standard blackjack. The basics of the game, the way in which the cards are counted and the main objective, remain the same. You compete against the dealer and your main goal is to manage to form a total which is higher than his. You should try to make a combination which is as close to twenty one as possible. However make sure that you don’t exceed this number as if you do, the result is an instant loss. The ace can be counted as one or eleven and every face card (Queen, Jack or King) receives ten points. The rest of the cards are worth the value written on them. Now, let’s proceed by considering the additional rules which make the game unique. In most cases, this variation is played with a single deck of cards, although it is also possible to bump into a casino in which more than two packs are used. You are allowed to double down on any two cards and you can do so after you have split a pair. Also, if you have split aces, you are allowed to hit and double down. You can split and re-split any two cards of the same rank up to four times, even aces. It is possible to take advantage of the late surrender option, even if you have already split, doubled down or hit. This move is often referred to as a double-down rescue, if it is made after the player has doubled down. In this version, you also have the chance to take insurance. One interesting rule this variation has is that if you have a total of twenty or less that consists of at least six cards, you automatically win. Another case in which the outcome is the same is when you have natural blackjack, regardless whether the dealer has one as well. This version is a hole card game and the dealer hits on soft 17. Whenever the dealer has a ten or an ace, he is required to peek for blackjack. In case that the dealer has blackjack, he will instantly reveal his other card. The game starts as usual and the first thing that you are required to do is to place your bet. When all of the players are ready with their bets, the dealer starts the dealing of the cards. You will receive two face up cards just like the rest of the participants sitting on the table. As you might have already gathered, one of the dealer’s cards is dealt face up and the other is face down. The face down card is the aforementioned hole card which plays a crucial role in the game. After that you have to choose how to play your hand in order to beat the dealer. You need to always bear in mind that your decision should be based on your hand’s total as well as the up card of the dealer. In some variations of Super Fun 21, you are allowed to place an additional side bet before the beginning of the game. The side bet usually applies for blackjack that consists of cards of a particular suit, in most cases the winning combination is a diamond blackjack. It is usually called Super Fun Bonus and its payout is 300/1. If your first two cards happen to form this winning combination, you will be paid accordingly. It should be noted that most casinos which offer such a side bet also have special requirements that you should meet in order to qualify for it. It is also a good idea to check the possibilities your chosen variation offers you beforehand. In most cases, you have the chance to join various blackjack tables that offer different betting limits. This way you can choose the version which suits your personal preferences and bankroll best and fully enjoy the game. Another thing that sets Super Fun 21 apart from the classic game is the different payouts it offers. 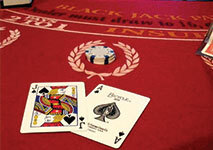 In the standard game the payout for blackjack is 3/2, whereas in this variation it pays out even money. However, there is one exception to this rule and this is when you have diamonds blackjack as then the payout is 2/1. There is also one more case in which you will be paid even money – if you manage to get six cards or more whose total is twenty or less. It should be noted that a hand, that consists of five cards or more and whose total is twenty one, pays out 2/1. The only exception is if you have doubled down as in such cases, this rule doesn’t apply. If you have placed the insurance bet, its payout is also 2/1. The reason why the casinos have altered the payout for blackjack in order to retain their advantage. Even though most of the additional rules are beneficial for the players, the fact that the payout for most blackjacks is even money makes this version a bit more disadvantageous. It has been estimated that its house edge is approximately 0.94%, providing that the dealer hits on soft 17 and the game is played with one deck of cards. In comparison to the rest of the versions, such a house edge is considered to be fairly high. One of the rules which increases the house edge is the rule that enforces the dealer to hit on Soft 17. If you happen to join a game which uses more than one deck, the house edge will be even higher. Super Fun 21 is a very enticing variation of blackjack which has very liberal rules and easy gameplay. Thanks to them, you can play your hand in the best possible way and you don’t have to comply with the many restrictions the rest of the variations have. In this version, you have the freedom to split, re-split and double down in various cases. The game has also proven to be very exciting due to the fact it offers players the opportunity to place a special side bet. Even though it has a fairly high house edge and the payout it offers for blackjack is not the best in comparison to other versions, it is still one of the best games which you can play in a casino. Many players love the fact that they can perform a number of moves which otherwise are impossible to be made. It is undoubtedly a version which is worth a try. However before doing so, just make sure you are entirely familiar with its rules and features in order to manage to make the most of it.